The company that owns Old Forester, Brown-Forman, is opening a new distillery and whiskey experience to celebrate Old Forester. As a part of Kentucky’s rich history, it’s only right that the distillery be located in the historic Whiskey District of Louisville. 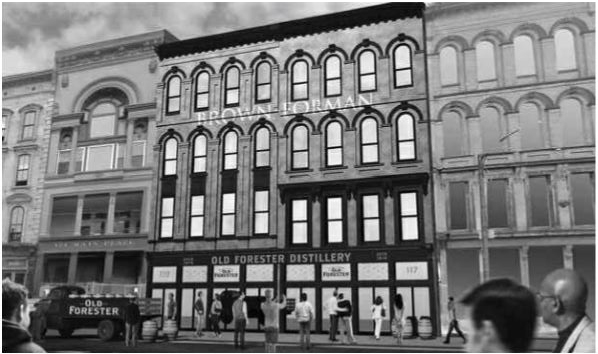 Plans for the Old Forester Distillery include: fermentation, distilling, barrel making, filling and dumping, and bottling. And while the distillery will most certainly increase production for Brown-Forman, it’s also going to be a very interesting location, returning to where the bourbon was first bottled. As part of the revitalized location, Crystal Structures will be installing an overhead skylight 26′ wide by 47′ lon g. Under the skylight the distillery will be open to exhibits, tasting rooms, bourbon-making demonstrations and event spaces. The new distillery also marks the continued comeback of bourbon interests along Louisville’s historic Whiskey Row, especially after a fire in 2016 threatened to destroy the location. We are excited to be a part of this project along with Bravura Architects and Messer Construction. Knowing that we’ve helped bring the old building back to life is a great feeling. View more of our overhead skylights in our gallery. View our skylight system here.